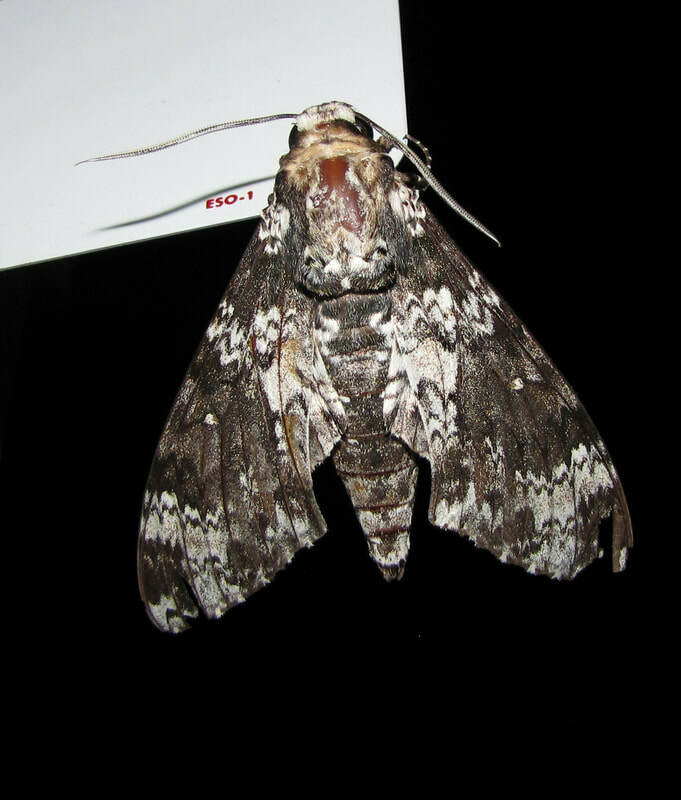 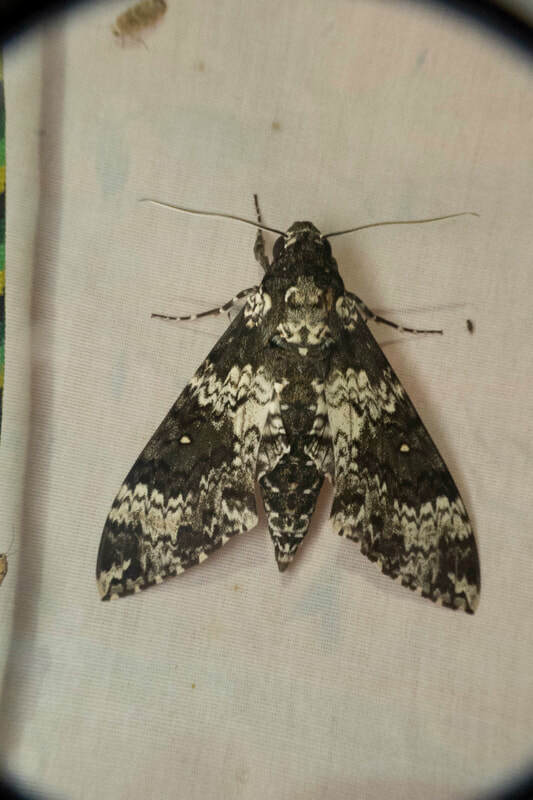 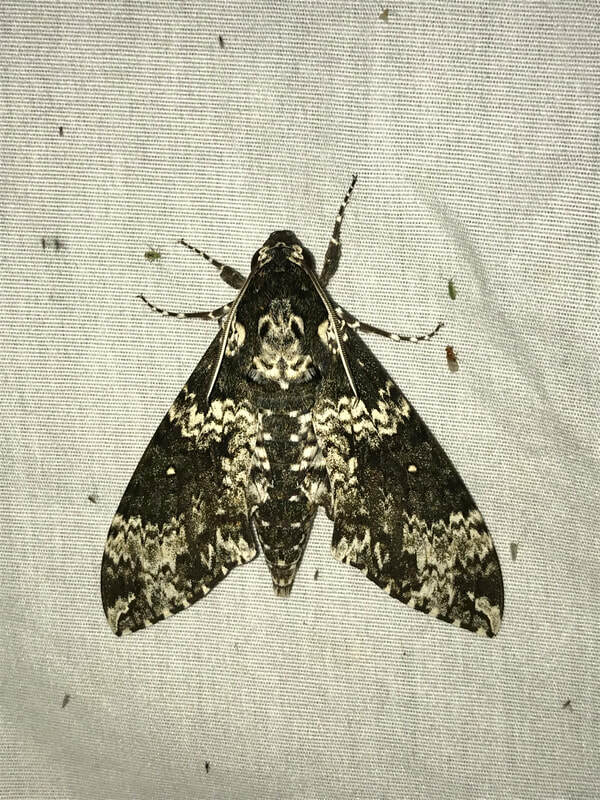 This is a large sphingid. 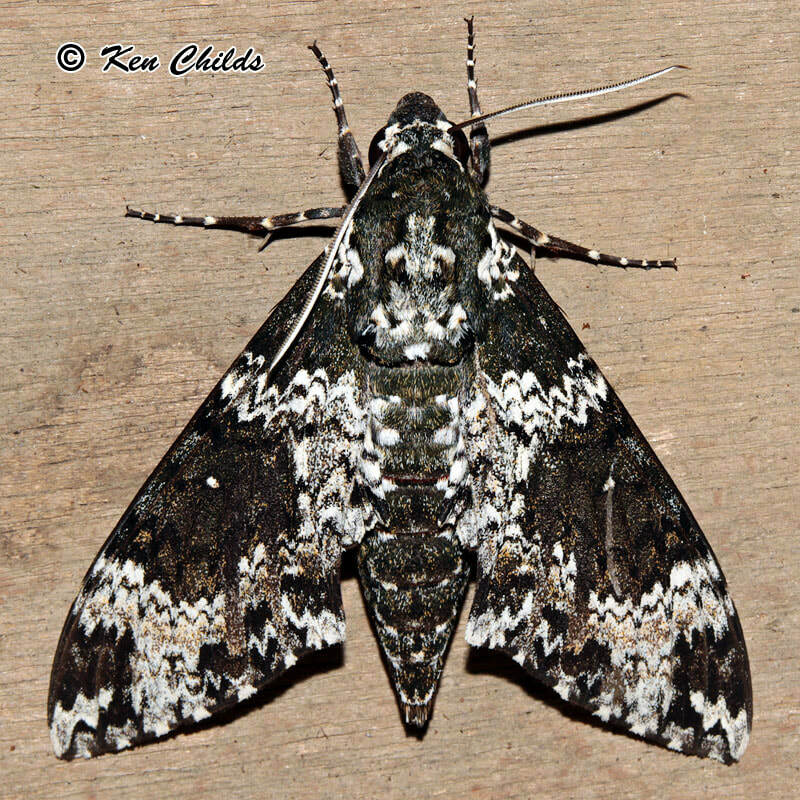 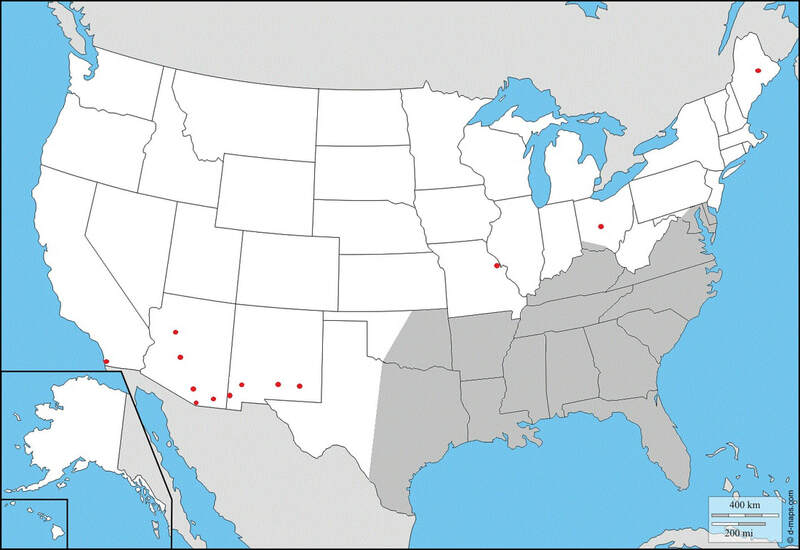 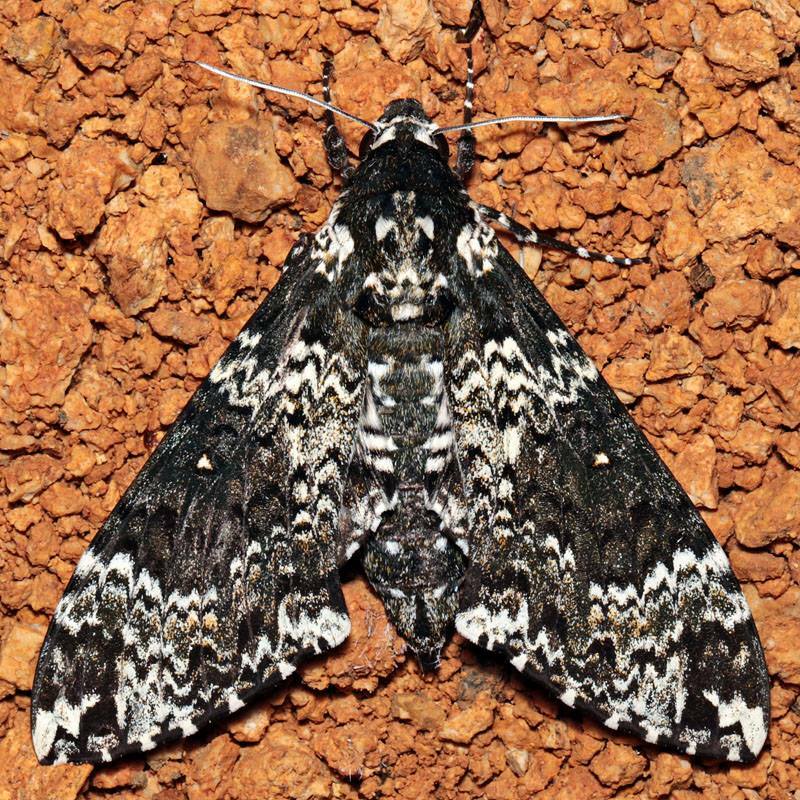 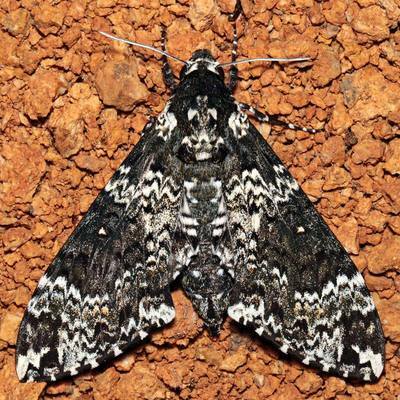 Unlike many of the other Manduca species found in the US, Manduca rustica is unmistakable. 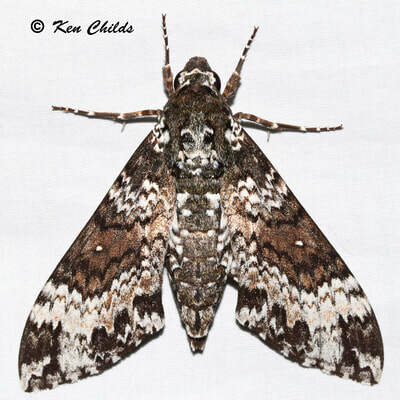 The chocolatey brown appearance with white markings all over the forewings make it easy to recognize. 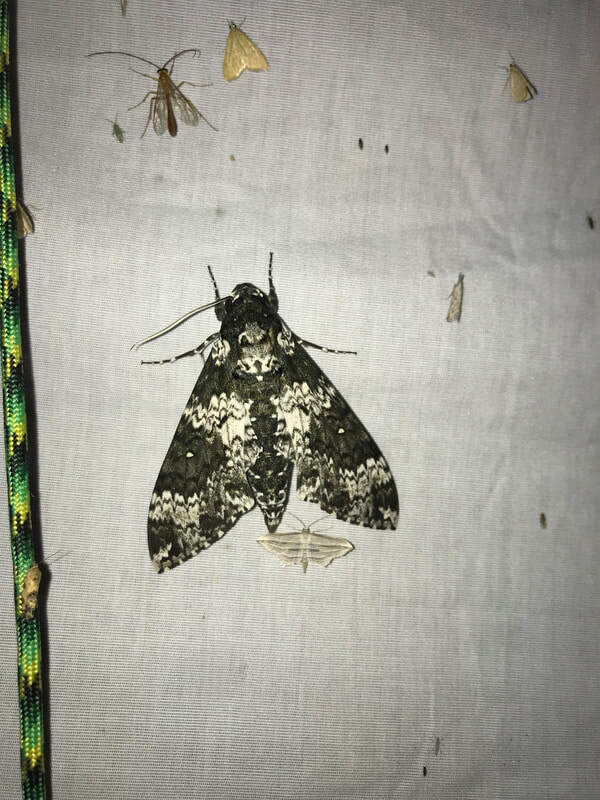 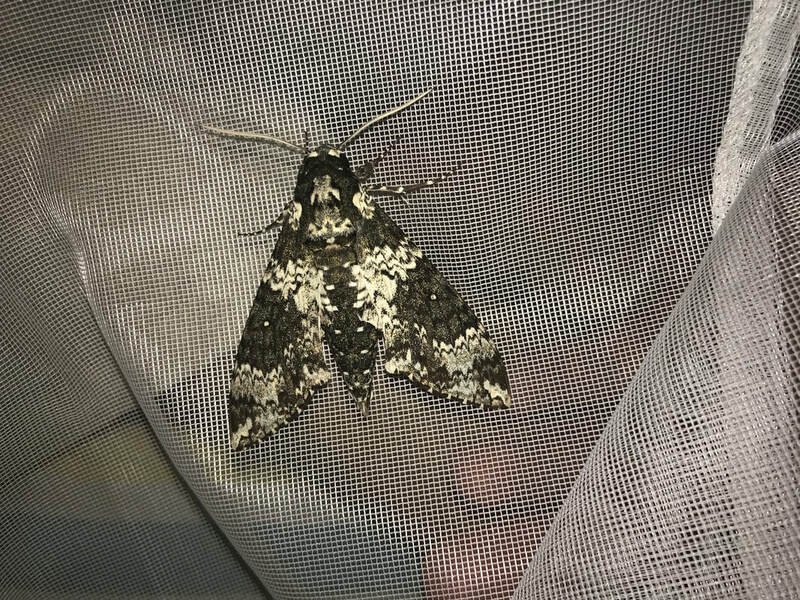 The only similar species in the USA is the rare Manduca albiplaga which appears similar, but is significantly larger and only found in southern Florida. 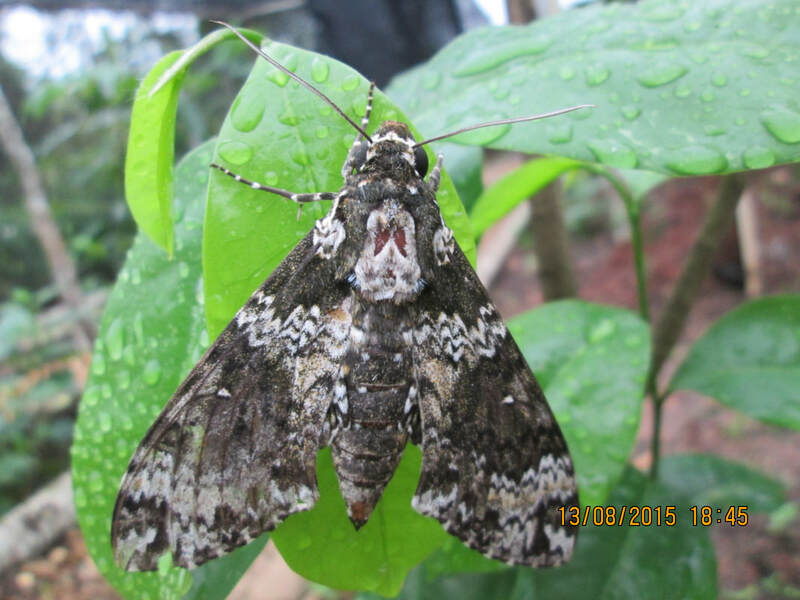 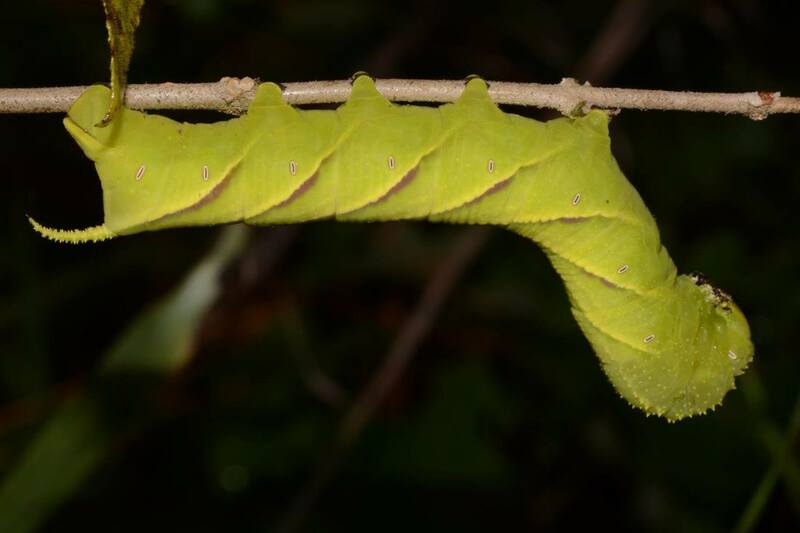 Manduca rustica has nearly black hindwings and the body has 3 pairs of yellow spots. 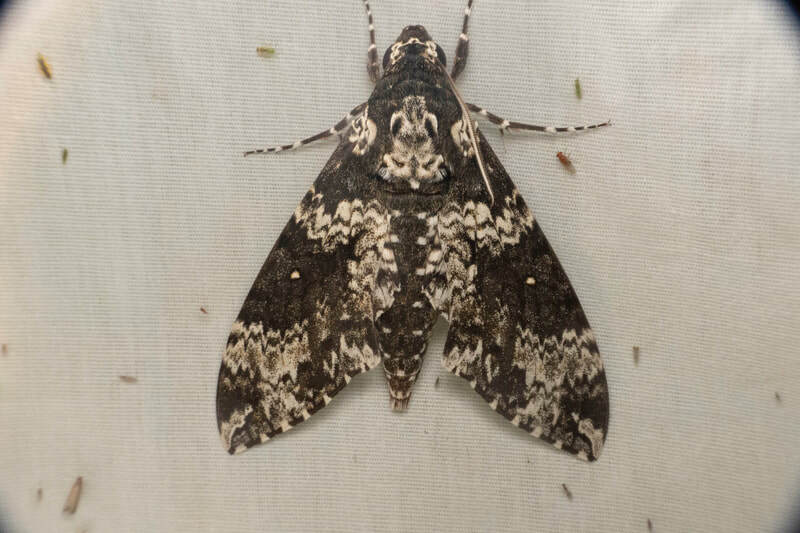 There is a fair amount of white maculation on the thorax. 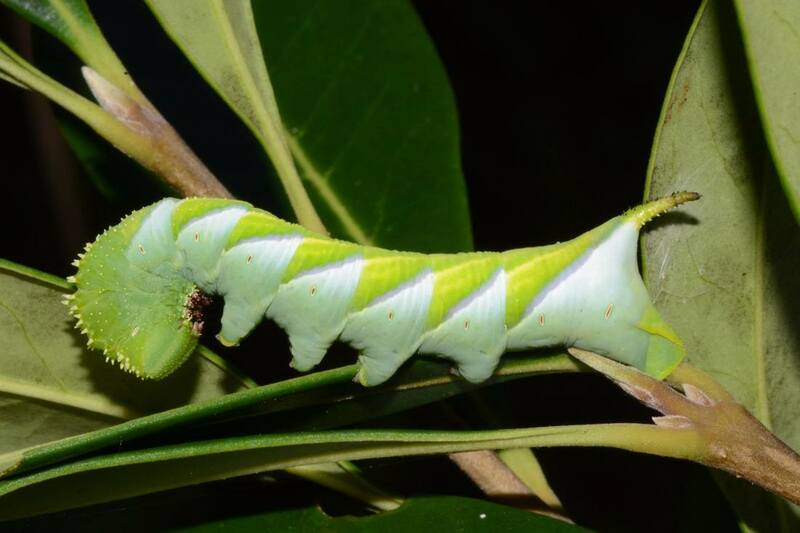 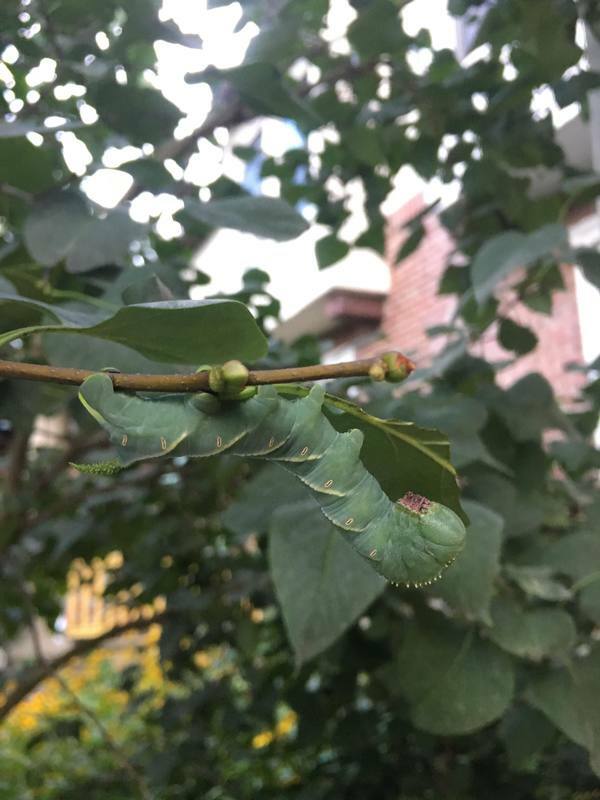 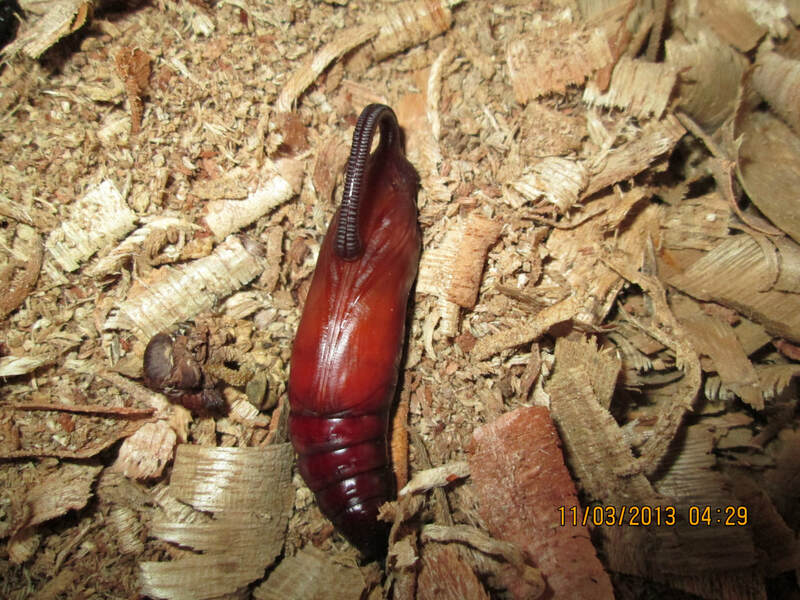 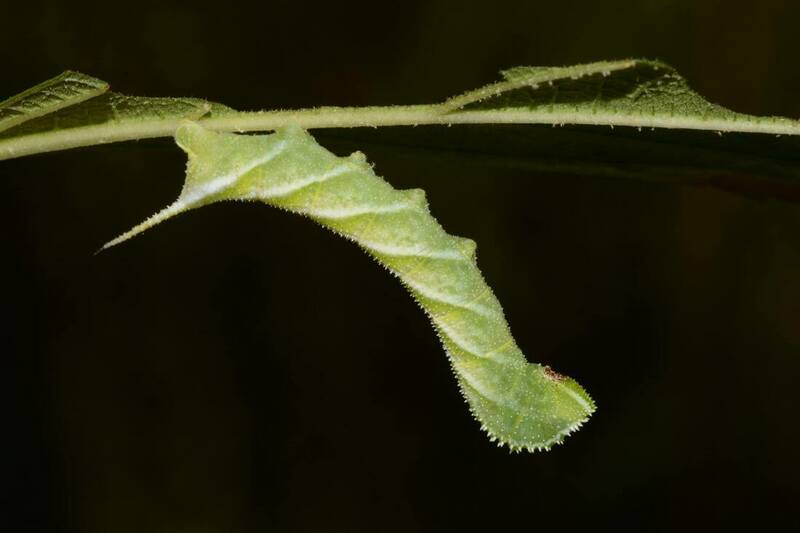 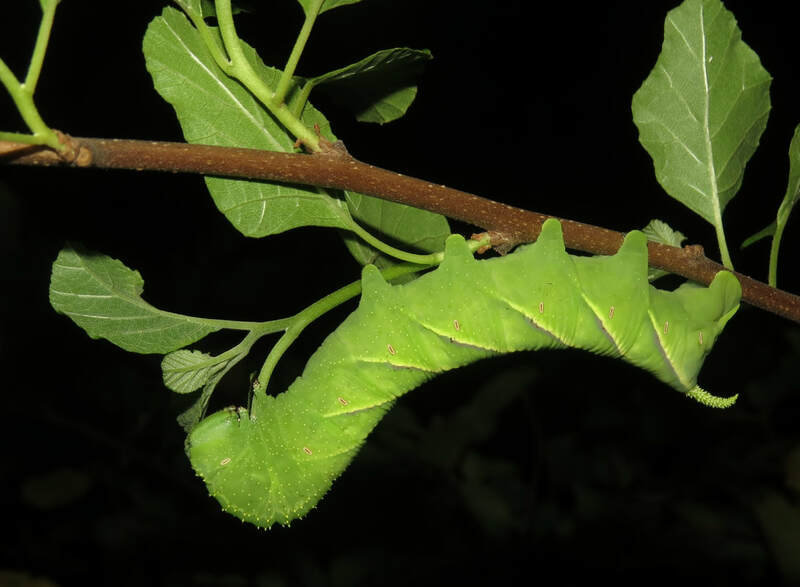 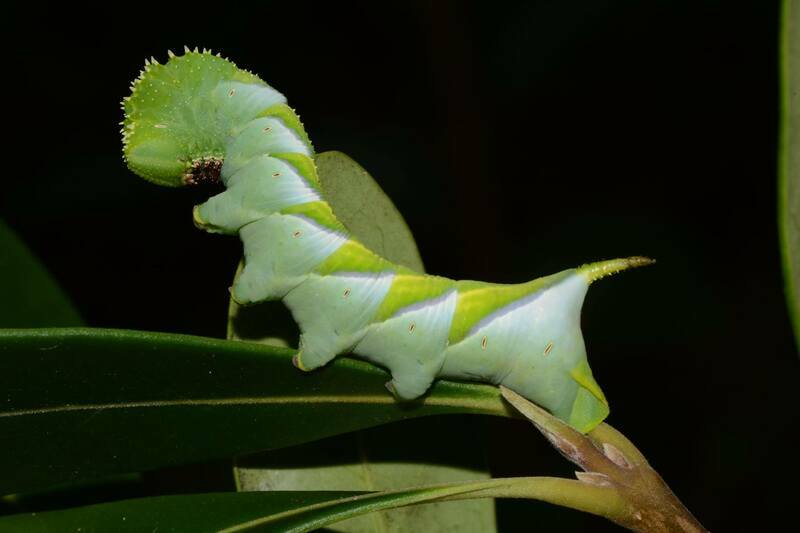 L5: The final instar larva is very large. 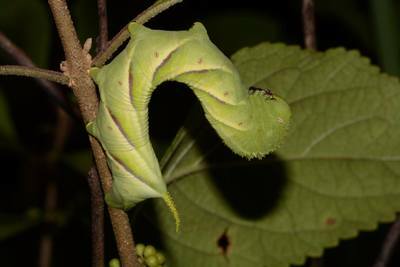 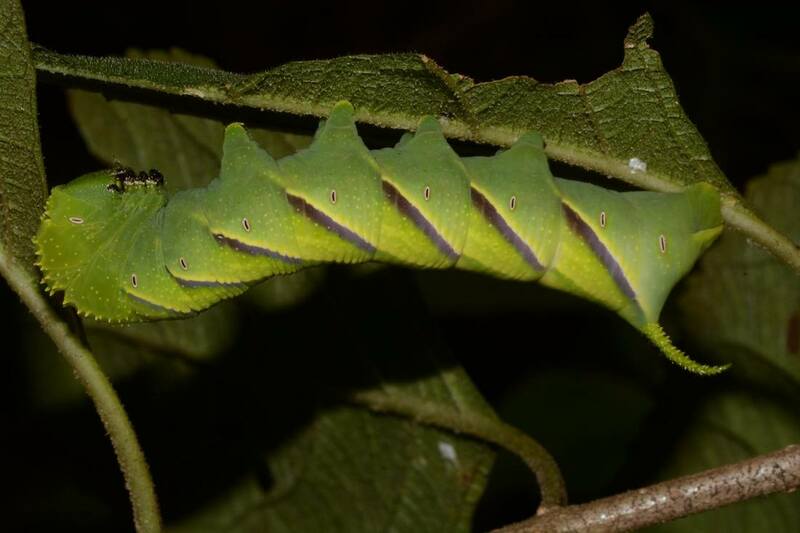 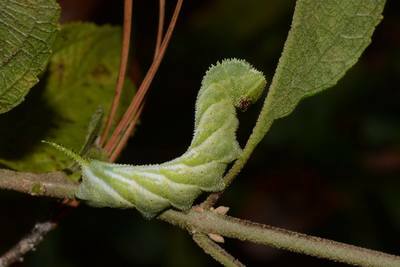 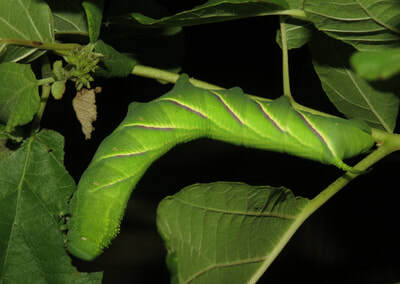 The blue-green coloration paired with the 7 white abdominal markings bordered in purple will make this larva unmistakeable. 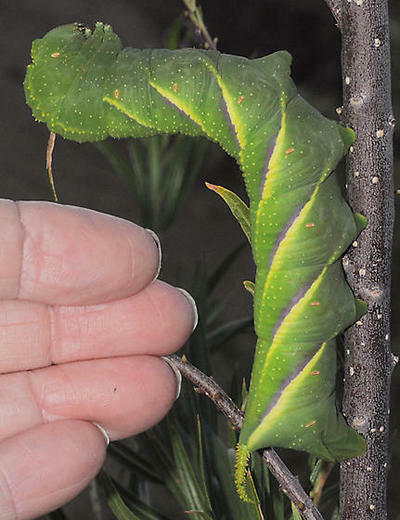 The green horn is large with black granules on it. The head is slightly rough, often with yellowish granules. 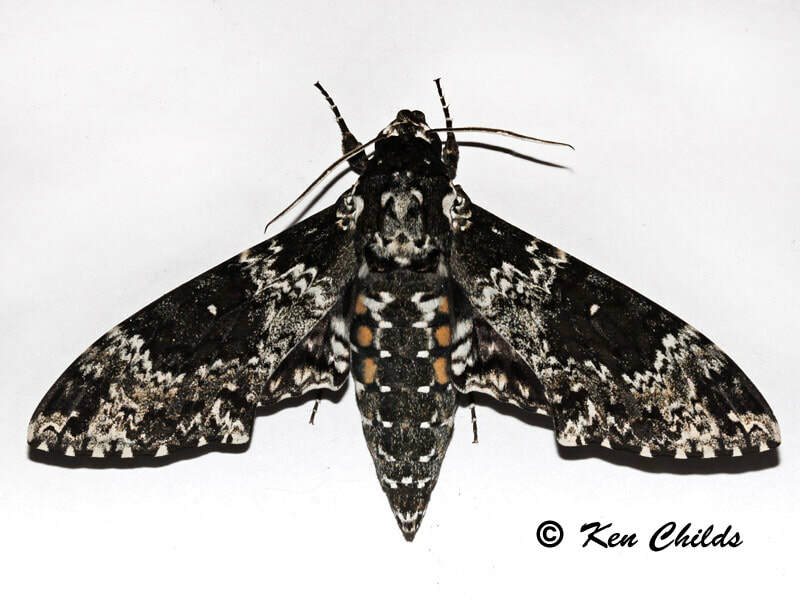 The gallery to the left contains photos of Manduca rustica adults. If you have a photo that you would like to submit to us, please contact us. The gallery to the right contains photos of Manduca rustica larval and pupal stages. 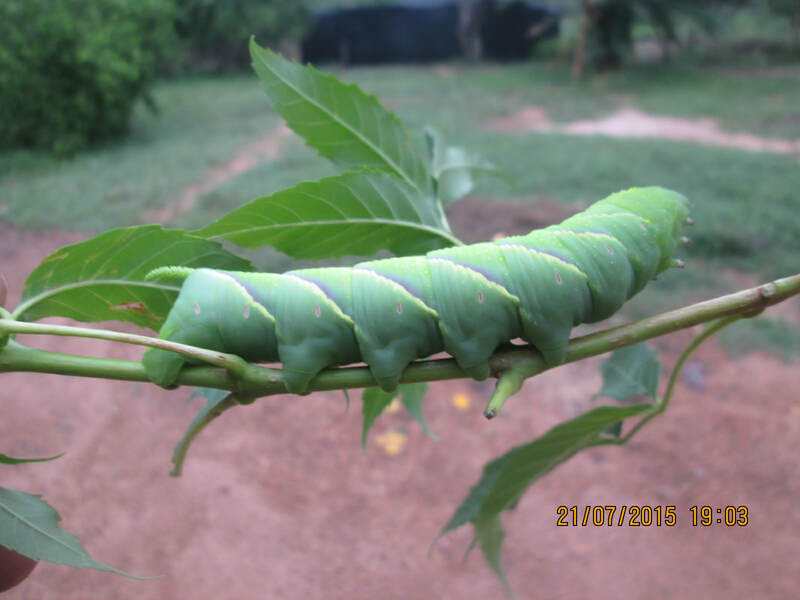 If you have a photo that you would like to submit to us, please contact us.